From its premiere recording by Marvin Gaye in 1964, "Don't Do It" was a song begging to be whipped into shape like a prizefighter who hadn't quite been able to reach the championship. It took a couple of stilted tries by The Band to finally accomplish that (although no punches were known to be thrown). When they did get it right – on their 1971 live masterpiece, Rock Of Ages – "Don't Do It" burst forth with an invincible intensity that is still gripping today. This is not to run down Gaye's passing-grade version, but it is a bit thoughtless in its arrangement and overproduced, having been homogenized in the same awkward way that too often held back Motown recordings from reaching their full potential. However, from December 28 through 31, 1971, The Band played a four-night engagement at New York's Academy Of Music (The Palladium), site of many legendary performances, including Lou Reed's massively wonderful "Sweet Jane." After a brief introduction by Robertson, The Band swings into a rousing, counterpoint-punctuated hammering of "Don't Do It," unceremoniously drawing out the R&B undertones that had been lurking in Marvin Gaye's edition and their own prototypical approach practiced on Cahoots. Talk about a song blooming – it's as if a shining alien-metal flower pushed through a neglected garden of weeds and started beaming the purest Rock-N-Roll message ever in the noonday sun. Alain Toussaint, who had been raised in a shotgun shack in New Orleans in the 1940s and '50s brought a touch of Mardi Gras's street music feeling to "Don't Do It." He had collaborated earlier with Lee Dorsey ("Ya Ya" and "Working In A Coal Mine") who was at the time backed by NOLA legends The Funky Meters. Toussaint also put his head together with Chris Kenner, writing, arranging and producing the latter's smash "(The Name Of The Place Is) I Like It Like That." Kenner also wrote perennial favorite "Land Of A Thousand Dances." Toussaint's horn arrangements undoubtedly bring a sophisticated super swing to the otherwise raunched-out live extravaganza. But there are many, many layers that help the song rise up out of the sea like the proverbial great white whale. It's best to start with Levon Helm's performance on the drums and with his singing, one of the greatest vocal deliveries in the annals of Rock. 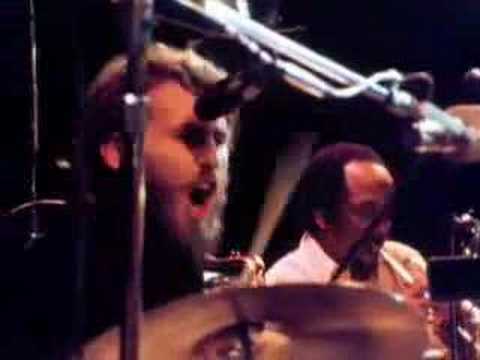 Culture critic John Carroll once said: "Levon Helm is the only drummer who can make you cry." Elton John's song "Levon" was so named in tribute to Helm and his magical ability on the skins. The Yellow-Brick-Road man also, surprisingly, led the tribute concert to Levon Helm after The Band co-founder died. Levon's performance that December long ago can be considered grade school, high school, college and graduate school for anyone hoping to learn the drums. There's nothing fancy about the work but the peerless execution of a mad, mad, mad driving, booming syncopation sits tall in the saddle of Rock-N-Roll performances. That Levon could drum like that and simultaneously sing so well, so convincingly, so soulfully, can create a major freakout in your head if you listen to the song two or three times in a row and contemplate the accomplishment. The listener's question will always be: "How the hell could he do it?" The first answer is "genius." The second answer, from Levon himself, is that he sang in between the beats, using his voice not only as an instrument of melody and harmony but of percussion. His voice is a drum. Although Levon is clearly driving the bus, the other members of The Band shouldn't be given short shrift. Rick Danko's bass is a mad fandango and while it sounds great on audio only, watching the video of the performance brings home the strength of his frenetic, electric work. Richard Manuel provides an outstanding honky-tonk piano. Together, he and Danko render tight, funky, hillbilly-ish harmonies that play perfectly against Helm's lead singing. Garth Hudson's organ makes you wonder whether he should be wearing a white coat in his castle-tower lab or be carried away by burly men toting a straightjacket. Rick Danko once asked Garth Hudson, half sarcastically, how he "got to be to be the way he is." Hudson replied with a straight face, "Well I played at my uncle's funeral parlor." And there is Robertson... oh is there Robbie Robertson. Let loose, he has always been capable of tour-de-force breaks and restrained yet dynamic fills. Listening to him on "Don't Do It" always obliges you to consider why he didn't bust out more often. Anyone who has any doubt he belongs in the top 10 guitarists of all time lists, needs to sit down with this cut. It's so effortless, it's frightening. The lyrics have some very polished hooks, the earmark of almost every Holland-Dozier-Holland song. 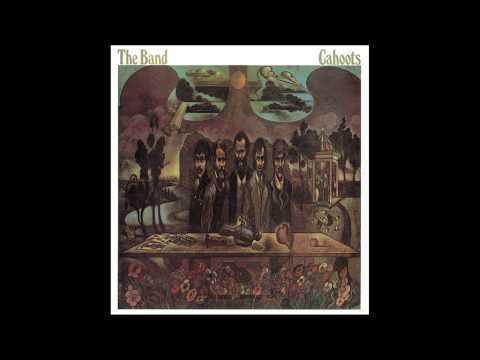 The Band, through Levon's vocal gymnastics, gives them a slightly comic glimmer, which raises the level of the song a few notches from Gaye's pure, pure pitiful plea. Even near the end of "Don't Do It," when the singer/narrator threatens to drown himself in the river, something of the humorous mischievously creeps in. In tone, despite its portrayal of a rotten love, the Rock Of Ages version is closer to the light-heartedness of, say, The Band's classics "Up On Cripple Creek" and "Jawbone," a song about an egocentric cat burglar. For at least these five minutes The Band recaptures the magic they so thorough deployed on their first three albums. They had spent almost 17 years on the road before they made Big Pink, The Brown Album and Stage Fright. So their puzzlement and fractiousness with each other as human beings and artists is understandable on Cahoots. Like The Beatles, their breakup was sad, though inevitable. The legacy makes us long for 10 albums as good as The Band's early ones. But as Christmas turned to New Year in late '71, for a brief, shining moment, The Band's particular brand of rockin' Camelot was on stage, strutting, picking, pounding and howling into the night as the crowd went wild. “Don’t Do It” was The band’s second-highest charting single, reaching #34 in the U.S.
Robbie Robertson has never quite been pleased with the mix on Rock Of Ages: I mixed the record with Phil Lesh in Miami and when we came back to New York and listened to it, I said: “Phil, I don’t like it” and he said: “I don’t either.” I did it much better than in Miami and the guys came by and listened to it and said: “Wow it sounds great, much better.” I didn’t make a big issue of it, as everyone was so happy, but I knew deep down that it was not as good as it should be. Look Out ClevelandRobbie Robertson gives a veritable school lesson in Rock-N-Roll guitar history and influences. Robbie Robertson gives a veritable school lesson in Rock-N-Roll guitar history and influences.